Since 2011, Farmscape has been working with Chef Niki Nakayama to cultivate Japanese vegetables, herbs, edible flowers and microgreens for her restaurant n/naka. 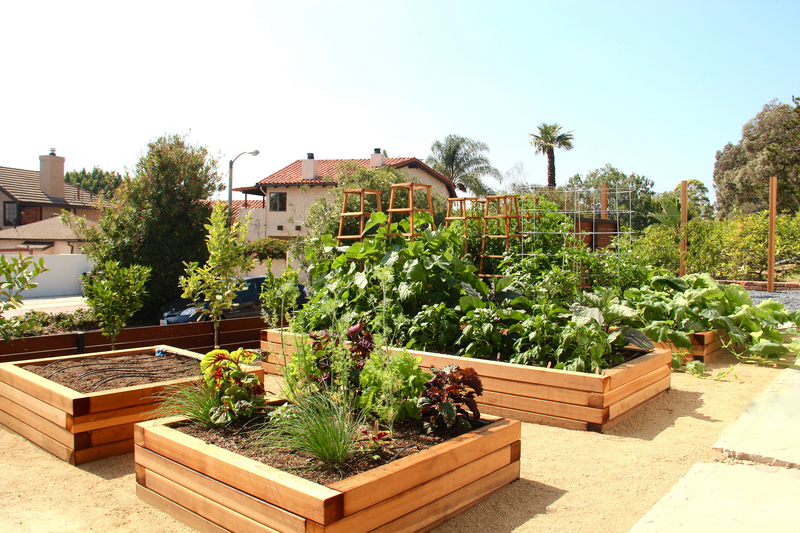 This front-yard Culver City garden site includes four raised planters, a privacy hedge planted with 7 types of citrus, passionfruit, Australian finger lime, greengage plum, peach and apricot. The entire front yard is less than 1,000 sq ft, so the design challenge was fitting as much production as possible into a small space. If you’d like to learn more about this project, check out this profile in Sunset Magazine.